February 22, 2018 at 11:00p.m. This 33rd Trumbull County African American Achievers Association Hall of Fame induction ceremony is 6 p.m. Saturday at DiVieste’s Banqet Hall, 754 North River Road. 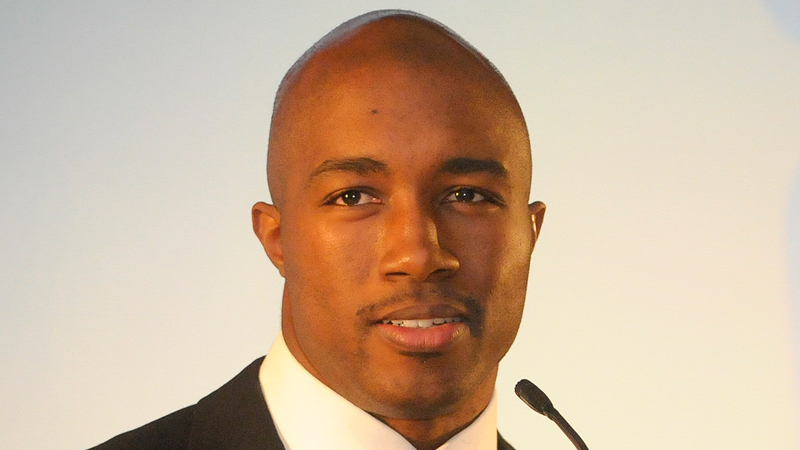 Deryck Toles, CEO and founder of the nonprofit Inspiring Minds organization and a former NFL linebacker, will be speaker. Tickets cost $30 in advance, $35 at the door. To purchase, call Franky Parker at 330-720-2215. • Denise Matlock is the first lady of Restoration Christian Life Ministries, where she works closely with her husband, Senior Pastor Garrick Matlock. She is worship leader, scripture-school instructor and serves on the financial team. She has operated Artistically U Dance Studio 16 years. She is the first black dance studio owner in Warren, according to her biography. • Roland A. Battle graduated from Warren G. Harding High School in 1967. He served four years in the Air Force and retired from General Motors Lordstown. He is a professional barber at the Van and Carolla Barber Shop and is known as “Mr. Red” to customers and friends. He is member of Grace AME Church, where he served as a trustee, sings in the male chorus, mass choir, is on the usher board and drives the church bus. • Paulette Edington is a lifelong city resident and wife of Terrence D. Edington, a retired Warren police officer. They have five children and nine grandchildren. In 2014 she became director of Trumbull Family Fitness, the former YMCA of Trumbull County, and has been with the organization 9 1/2 years. She is a licensed minister and graduate of Youngstown State University with a degree in family and consumer sciences and a minor in history. • Miles W. Johnson, 25, has been a community organizer for Trumbull Neighborhood Partnership since 2016. He graduated from Warren G. Harding High School and Trumbull Career & Technical Center with a certificate in carpentry. He worked for the Service Employees International Union, where he began to realize his passion for grassroots organizing. In 2012 he was recruited to work with U.S. Sen. Sherrod Brown. • Leslie A. Parkey is a 1981 Warren G. Harding High School who has been an aircraft mechanic for the 910th Airlift Wing at the Youngstown Air Force Reserve station for 26 years and the only full-time black aircraft mechanic there, according to his biography. He was active duty with the Air Force for 10 years from 1981 to 1991. He has served in a number of roles in the community, including basketball coach at the Niles YMCA and boxing coach at the Warren Athletic Club. He was a boxing champion in six weight classes from 1980 to 1989. • Gary L. Price is a specialist in auto body repair and owner of Price’s Auto Body. During his career in California, he collaborated with auto customizer George Barris on the vehicle for the 1977 film “The Car” and othe vehicles. In 1979, he moved back to Warren, where he became body-shop manager for Bumbu’s Falls Ford in Newton Falls. At American Coach, he designed a van for the president of General Motors and painted trucks and vans for the Dallas Cowboys and Houston Oilers, his biography says. • Autumn Duncan attends Liberty High School, where she is a senior with a 4.0 grade-point average. She has taken classes at Youngstown State University since 10th grade through the College Credit Plus program. She received the “National Academy of Future Physicians and Medical Scientists” Award of Excellence from Harvard University. • Michael Jordan played soccer in high school and says he has been inspired by Toles and Patsy Kouvas of Inspiring Minds and Jeffery Butts and Miles Johnson, co-founders of Chess Is Life, which teaches the game to youths. With help from Inspiring Minds, Jordan attended a week-long minority engineering program at Purdue University in Indiana. He has maintained a 4.0 grade-point average or higher in high school. In college, he plans to major in computer engineering and computer sciences. February 16, 2015 12:05 a.m.
February 18, 2011 6:07 a.m.
February 22, 2007 10:02 p.m.